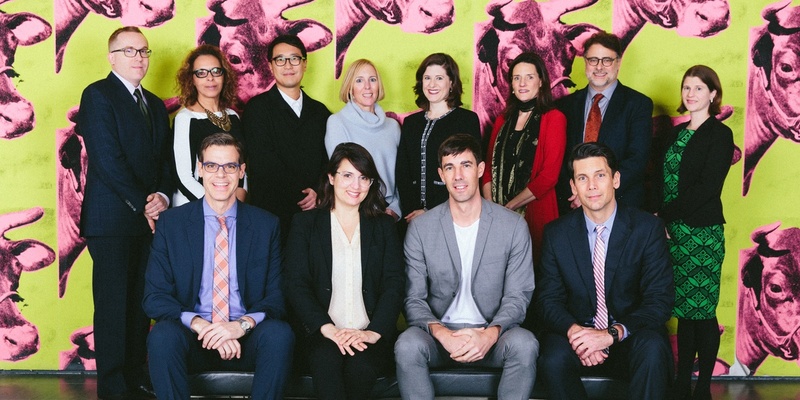 CCL Class of 2018 Fellows (from left to right): Soyoung Lee, Ethan W. Lasser, Lauren Haynes, Alison Ferris, Mia Locks, Victoria Sancho Lobis, Nora Burnett Abrams, Jose Carlos Diaz, Jodi Hauptman, Rita Gonzalez, Elizabeth Siegel, and Kelly Baum. Artwork: Constantin Brancusi, The Miracle (Seal [I]), ca. 1930–32. Solomon R. Guggenheim Museum, New York. © Succession Brancusi - All rights reserved (ARS) 2018. Photo by L.A. Nolan. 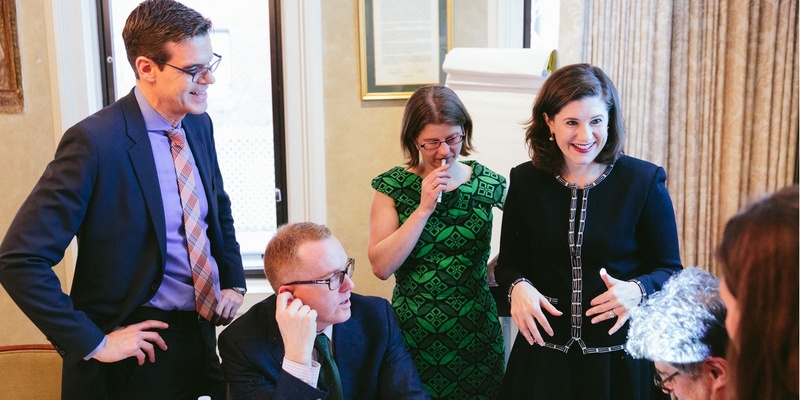 CCL offers leadership training for art museum curators from all art historical specialties. 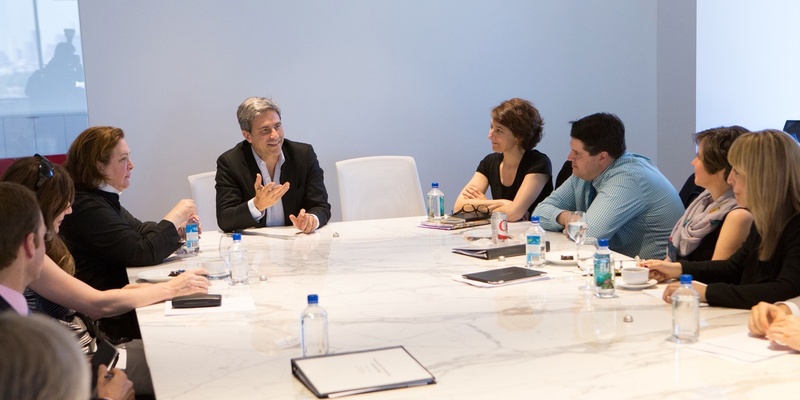 Established in 2007, CCL’s core Fellowship provides experienced curators with instruction from Columbia Business School faculty and exposure to real-world challenges faced by cultural institutions today. Mentoring is a key element of the program and extends the learning outside of the classroom. 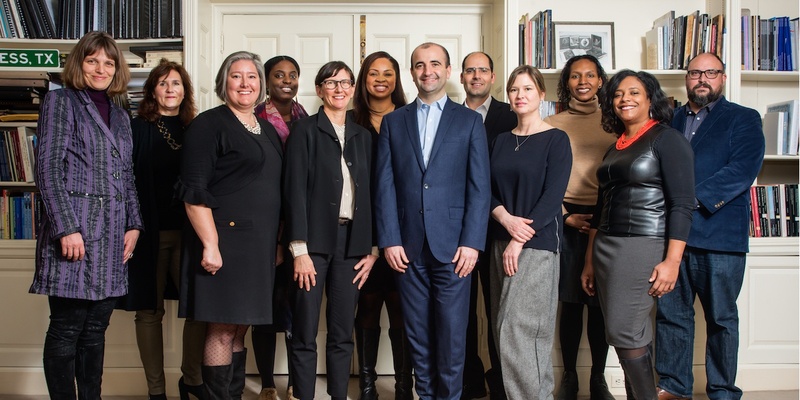 Every year, directors and trustees from major museums across the world host Fellows for a weeklong residency. In addition to providing Fellows with mentors of their own, CCL charges its Fellows to mentor young people from communities that are underrepresented within the current ranks of the curatorial profession. Click here for more information on the Diversity Mentoring Initiative. Curatorial achievement: Successful candidates are distinguished within their fields of expertise but are interested in developing new skill sets that would enable them to become valuable partners in institutional decision making. Leadership experience: CCL accepts applicants who look beyond their curatorial responsibilities. 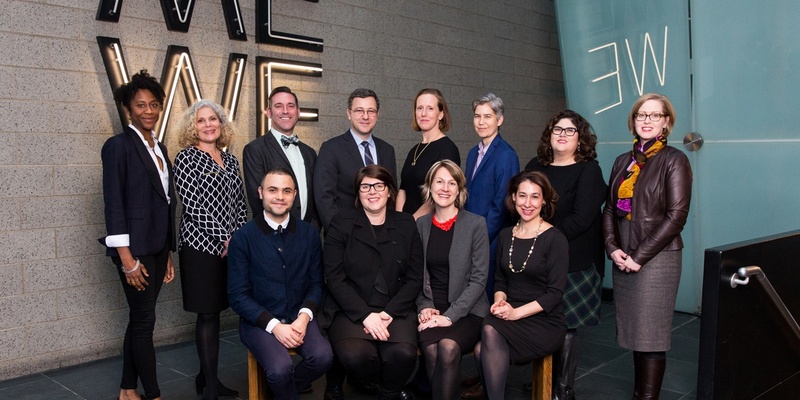 Having managed teams, mentored emerging professionals, and partnered with colleagues both within their museums and across the profession, candidates seek to better understand and contribute to the larger goals of their organizations and the field at large. Creative and entrepreneurial thinking: CCL curators are innovative problem solvers and forward-looking agents of change. In the program, they learn skills to help them implement creative approaches to institutional change, problem solving, strategic thinking and building solid relationships throughout the museum. A two-week intensive program in New York City in January that includes teaching from faculty members at Columbia Business School and practical exposure and assignments provided by museums, cultural institutions, foundations, and other civic organizations across the city. A five-day residency in March or April with a museum director from an institution other than the Fellow’s home institution. 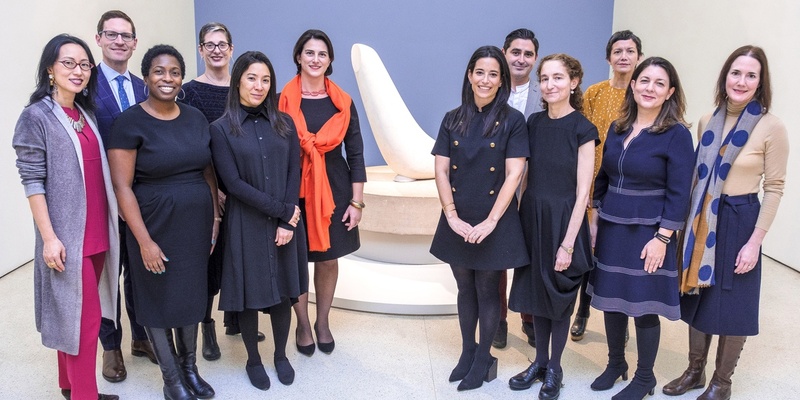 A diversity mentoring project, assigned in January and covering the span of the Fellowship, designed to introduce young people from communities that are underrepresented within the current ranks of the curatorial profession to museum careers. A final training week in May or June, designed based on the particular needs and experiences of the class. It includes instruction, coaching, and the presentation of a team assignment. The January program will begin on Sunday, January 5, 2020 and run through Friday, January 17, 2020. The dates of the residency are selected by the Fellow and the residency host based on the activities in the host museum. The concluding week of instruction will be determined following the selection of the 2020 class. CCL carefully crafts a program that integrates theoretical presentations with practical application. In January, professors from Columbia Business School teach concentrated courses in nonprofit management, finance, negotiation, and long-range and short-term strategic initiatives. Engagements with museum directors, administrators, trustees, civic officials, and other cultural leaders provide insight into different models of leadership and the issues facing today’s institutions. In addition to this instruction, CCL Fellows engage with influential museum directors, administrators, trustees, civic officials, and other cultural leaders. 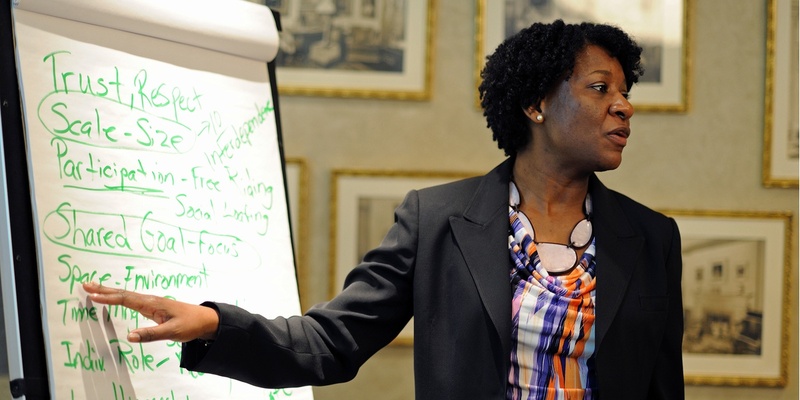 These sessions provide CCL Fellows with unparalleled opportunities to not only discuss the current state of museums and cultural leadership but also receive hands-on instruction regarding strategy, fundraising, and board development. The tuition is $2,500 per Fellow to cover a portion of the program expenses. 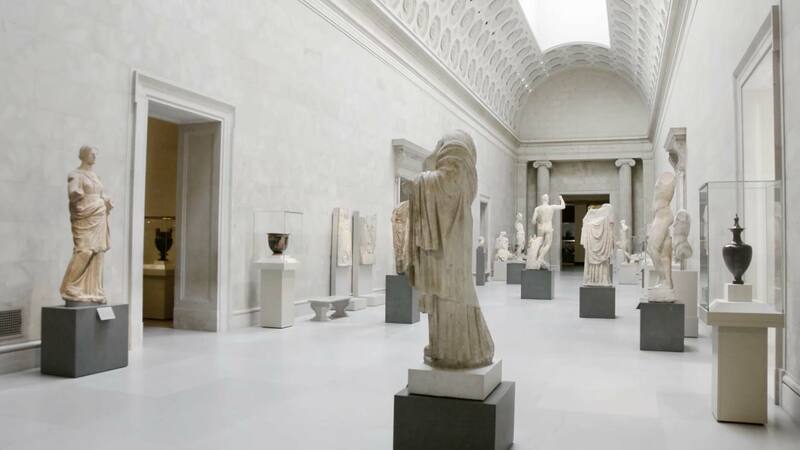 Tuition assistance will be available to all accepted candidates on an as-need basis; it is strongly encouraged, however, that museums support the professional development of their curators and underwrite the tuition fee. Kindly note that the tuition is subject to change. CCL covers the majority of travel, hotel, and food costs related to the program. For the two weeks in January in New York City and the final week of the program, the majority of meals and transportation from Monday through Friday will be organized by CCL; Fellows will be responsible for covering a small number of taxis and other incidentals. For the five-day residency, CCL will arrange the booking and payment of hotel and travel reservations and Fellows will receive a daily stipend to cover meals and incidentals.